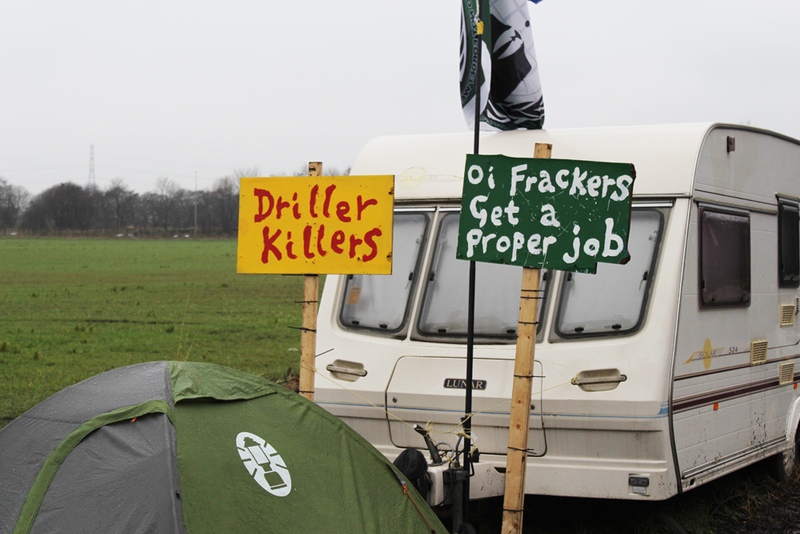 On the first leg of our AGMA tour, we visited Barton Moss in Salford to meet some of the anti-fracking protesters who are campaigning against iGas, who are drilling in the area in search for shale gas. The men and women on Barton Moss have been camped out for over three months and have formed a camp akin to a front line, proudly displaying posters and placards supporting their cause. We wanted to reach out to the folk on Barton Moss to let them know about our contemporary collecting campaign, in which we aim to collect objects and stories of protests, campaigns and events that are happening today, or within living memory. This will give us more relevance not only in today’s society, but will also act in preserving our contemporary heritage for the future. 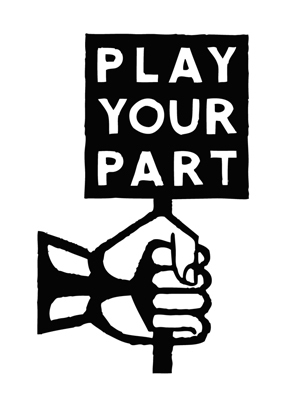 Despite the cold and rainy weather, we were able to speak to a number of the Barton Moss protesters and tell them about the Play Your Part project, and make them aware of our plan to collect contemporary material such as the placards, posters and leaflets currently being used there today. If you have material you would like to donate, please get in touch with harriet.richardson@phm.org.uk , or to find out which AGMA district we are visiting soon, check the blog next week! This entry was posted in Contemporary Collecting, People's History Museum, PHM Collection, Play Your Part, Protest, Uncategorized and tagged Anti-fracking, Barton Moss, Contemporary Collecting, Fracking, People's History Museum, PHM Collection, Protest, Salford. Bookmark the permalink.